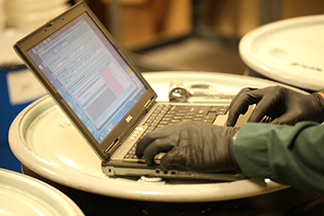 It’s easy to think of chemical inventory software as just a chunk out of your EHS budget. It is often a large piece of software that is tough to manage and only exists for running one or two reports a year. 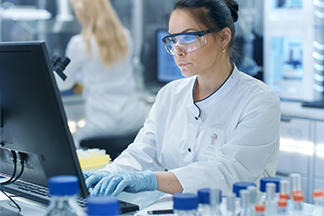 But by changing the way your lab deals with chemicals coming into and leaving the facility, as well as enabling you to stay on top of your regulatory requirements, an inventory tracking system can make a positive impact on cost management. 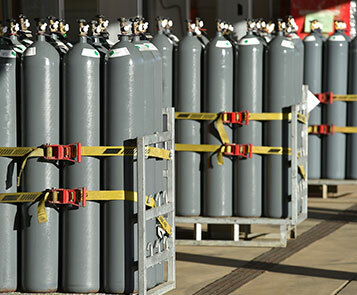 When utilized properly and managed well, a chemical inventory could reduce your overall costs. Imagine the ways a proper solution could actually put money back into your pocket. We’ve all been there: You receive a fresh case of solvents at the loading dock and rush up to deliver them to the lab staff, but it turns out you still had three bottles left under a different bench. Now you have double the amount of material you ever need at a time, and an extra case of material to store (or return or dispose) in the meantime. Many labs are already bursting at the seams with people, benches, and consumables – it would help if you didn’t have to worry about extra chemicals, too. If you keep an accurate and up-to-date chemical inventory, you could check your stock before ordering (or approving) new material. Maybe all the researcher needed was to take a closer look behind the other bottles and find the chemical he or she was looking for. 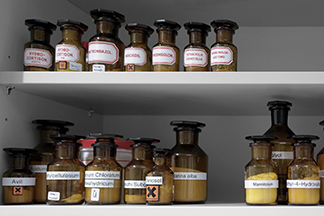 Many researchers and lab staff want to maintain their own stock of chemicals that they order and keep track of on their own. They believe they know exactly what they need and what is in their stock, and they don’t think about the costs involved with such a setup. In a perfect world, scientists could share a common stock and limit chemical inventory redundancies and over-ordering, thus reducing cost. Lab staff should be able to look up exactly what is in the chemical database, use it as needed, and return it for the next scientist to use. If you make it easier to communicate high and low stocks of material, the staff will fall in line, you will save space, and you will spend less on ordering chemicals. A regular cleanout of unused chemicals is a good idea to keep labs safe, compliant, and free of clutter. If cleanouts are constantly turning up unopened repeat chemicals, they start to feel like an unnecessary cost and strain on your budget. A barcode inventory software that can reduce duplicate ordering and keep track of aging bottles can greatly increase the efficiency and effectiveness of regular chemical cleanouts, and save you from throwing money from your chemical ordering budget and chemical disposal budget down the same drain. Chemical inventory requirements follow and are subject to rules and regulation from many government intuitions from all levels of enforcement. A lot of regulations point toward and are informed by an organization’s inventory tracking, so the wrong system can leave you open to violations and fines. Proper chemical inventory management won’t get you out of all regulatory scrutiny, but it is useful in making the right impression on regulators. If they visit your site and see a messy binder of Safety Data Sheets and a chemical inventory spreadsheet that hasn’t been updated in 10 months, they’re likely to keep digging for discrepancies and violations. You’ll set yourself up for success if you can show them an up-to-date barcode inventory software that is searchable and can run all the necessary reports. Learn about our Chemical Inventory Management services to help ensure your lab is safe, compliant, and cost-effective. If you would like to speak with one of our experts, click the button below to request a free initial consultation.